Courtesy of Allen Tate/Raleigh-Glenwood, Eddie Cash. Gorgeous remodel convenient to so much! Large family room with gas log FP. Eat in kitchen boasts SS appliances, built-in mwave, pull outs in lower cabinets, granite countertops, TWO pantries. First floor owners’ suite with bath and WIC. New flooring throughout, smooth ceilings, new interior and exterior paint, NEW lighting. TWO HVAC systems (2019 and 2016), NEW ROOF. Screen porch AND deck, fenced back yard. HURRY because this will not last. Directions: From US-1N/Capital Blvd; right onto Jacqueline Lane; right onto Wolftrap Road; and right onto Mimetree Court. 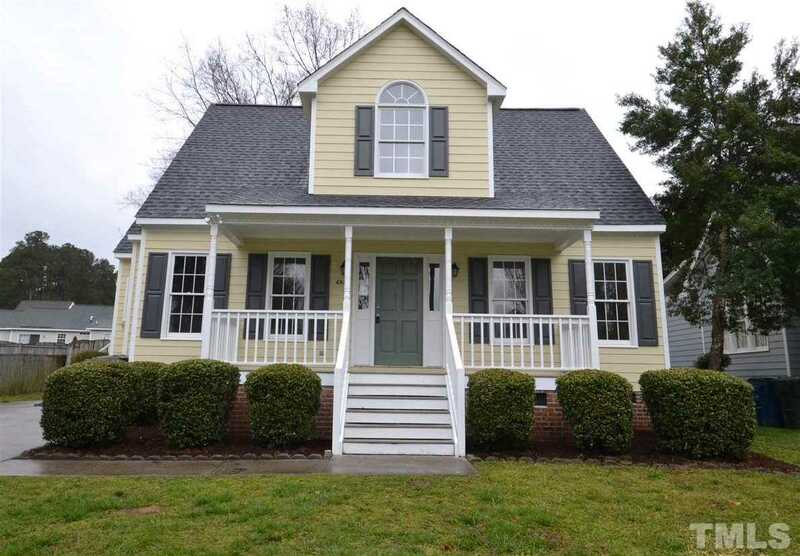 Please, send me more information on this property: MLS# 2244170 – $205,000 – 4817 Mimetree Court, Raleigh, NC 27616. I would like to schedule a showing appointment for this property: MLS# 2244170 – $205,000 – 4817 Mimetree Court, Raleigh, NC 27616.